Last Thread or Full Tread? The other day, after much delay and procrastination, I finally decided that it was time to purchase new tires. I concluded that after months of others telling me I needed tires, the nice man at the shop reminding me each time I changed the oil, that it was time to purchase new tires. The voice in my head was screaming OK, OK I get it, I need to buy new tires! So off to research to find the best possible pricing to eliminate the pain of plucking down money that seemed to me was not an exciting purchase to be researching. Now I don't know about you, but Tires are not on the top of my list that I would call exciting or a glamorous purchase. Yes, a functional purchase but not a purchase that I was looking forward to making anytime soon. I was doing my research and thinking about everything but the task at hand, I had a moment of clarity and association. 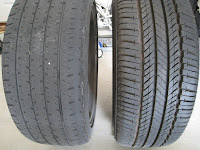 Tire Maintenance and Body Maintenance have a similarity, taken for granted. Each day we wake up and automatically expect our mind, body and spirit to be aligned, performing to expectations and maintaining a healthy body. 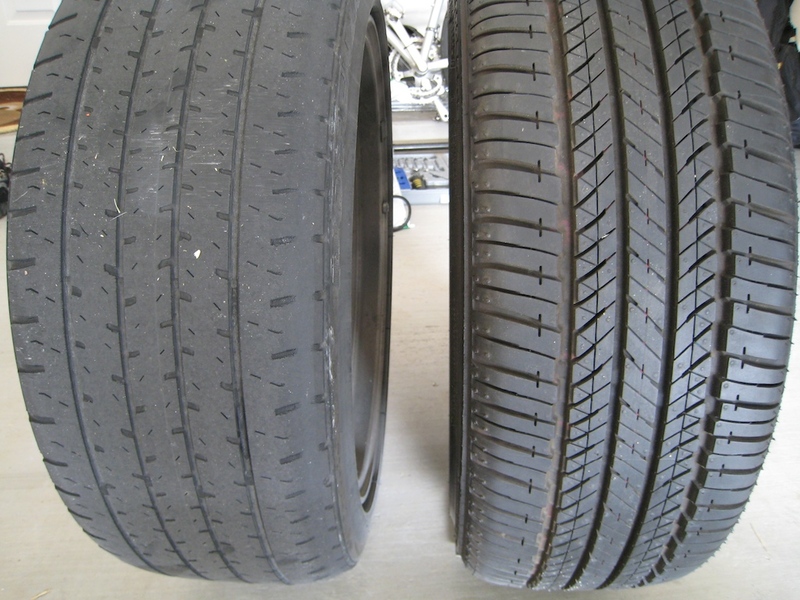 The same with our tires, we automatically expect when getting into the car, the car will start and the car tires will take us where we need to go. But what happens when we lose focus or do not do the required or minimal maintenance? The performance deteriorates while not achieving optimal performance! So I began to assess the areas in my life that have been neglected and needed some attention and tender loving care! Time for me now to be more mindful of taking really good care of me by establishing a maintenance program that invigorates my mind, strengthens my body and energizes my spirit..... My desire is that each of us takes the time for self. I really didn't realize how much I was running on automatic pilot, allowing for my performance not to be the best, just like the tread on a tire begins to wear down. Well, time for me now to replenish and rejuvenate for ultimate performance. Yes, I did purchase four new tires and Yes I did implement a new focus on taking time to enrich my life with being more consistent with activities and rest so that I too am bolstered higher while running smoothly with clarity and focus. Here are some suggestions that supported my efforts to change out or rotate to enhanced performance, perhaps these too will support you! FUN- yes fun each day I now find one thing, even small that makes me laugh or smile. Gratitude and Appreciation- for a well functionally set of tires and a mind, body and spirit that Soars!